At long last, it appears as though James Bond 25 has finally started shooting. This sequel has had a very long and complicated road to production, between the issue of locking down a director, script and the game of Daniel Craig being uncertain as to whether or not he would actually return for one last go-around as the iconic MI6 spy. But that's all finally been settled on (at least for the most part) and, according to multiple reports, production is underway on the 25th installment of the long-running franchise. Two different reports, one from The Daily Mail and one from a Bond fan site (which often has reliable intel on these productions), have both stated that James Bond 25 has started filming. Specifically, director Cary Fukunaga and Daniel Craig have made their way to Norway, somewhat quietly, in order to film one of the movie's key sequences. Sets have been built on the location and, per these reports, cameras got rolling today. Though, there is a possible little catch. Apparently, this is to film a sequence that will utilize a frozen lake in Norway. While the screenplay isn't finished yet, the lake will be melting in the coming weeks as the weather warms up and, since they need to get this footage, the decision was made to begin filming, at least this sequence, before the script is finished. So, we may have a slight pause in the filming schedule before the bulk of it gets underway here in the relatively near future. But even a single frame of footage at this point is a big step, as this project has truly had a tough time getting to this point. 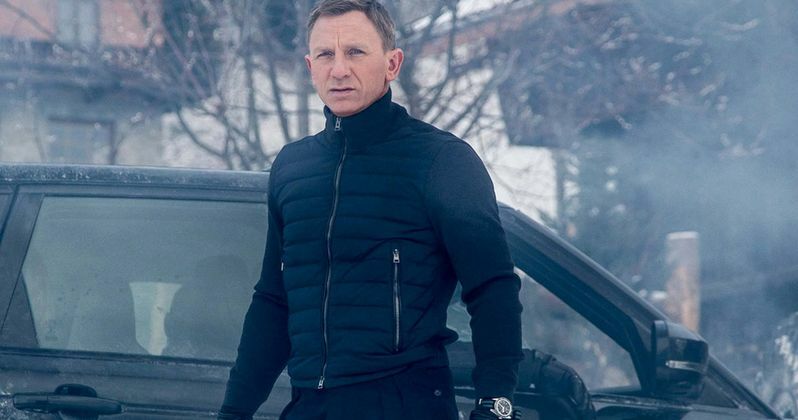 Even after Daniel Craig announced he would come back for James Bond 25 well after Spectre was released in late 2015, the hunt for a director proved to be challenging. Eventually, Danny Boyle (Slumdog Millionaire) landed the job in a somewhat surprising turn of events. However, he wanted to bring on screenwriter John Hodge (Trainspotting) to tell his own story, which differed from what had been worked on up to that point. The producers agreed and off they went. Just a handful of months later, creative differences got in the way and Boyle departed. The script was once again revisited by franchise regulars Neal Purvis and Robert Wade before Cary Fukunaga (Beasts of No Nation) landed the directing gig. It's now firmly in his hands, with Scott Z. Burns (The Bourne Ultimatum) handling a significant rewrite. Rami Malek (Bohemian Rhapsody) is on board to play the main villain, with Billy Magnussen (Game Night) also set to play a new character. Several key cast members such as Ralph Fiennes (M), Naomie Harris (Moneypenny) and Ben Whishaw (Q) are also expected to return. It's also expected that a press conference officially announcing the movie will be held on or around April 1. As it stands, James Bond 25 is set to arrive in theaters on April 8, 2020. This news was previously reported by Mi6-HQ.